How do I print a self test on the Dymo LabelWriter 4XL ? 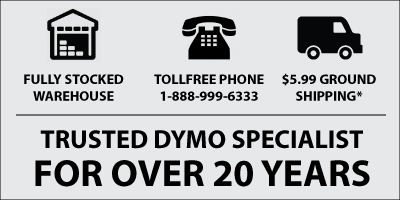 If you experience broken characters or other print quality issues on your DYMO LabelWriter 4XL, you can perform a printer self-test. It's an easy process to carry out, and the self-test verifies that all elements of the print head and printing mechanism are in proper working condition. Note: Some users print a self-test from time to time just to check that everything is in order, even if they don't notice any issues with the printer output or print quality. 1. With a roll of labels in the Dymo 4XL printer, press and hold the form-feed button on the front of the printer for five to ten seconds. The printer begins printing vertical lines along the width of the printer. The test pattern automatically changes every 3/4 inch (19 mm). 2. Once the self-test begins, release the form-feed button. 3. To stop the self-test, press and release the form-feed button. If you used the self-test feature because you do have a print problem, please keep the printout as you may need to scan it or fax it to Dymo tech support. If you used the self-test feature just because you wanted to check the 'health' of your printer, you might want to write the date on it and keep it for future reference.